Join us for special events, trunk shows and sales. Get details, dates, times and directions. Pop in after work and relax while having a refreshment and treat. View some of our trendiest hair pieces, jewelry and veils. Get ideas on current trends on bridal hair and makeup. We are easy to find, Simply get a map and print directions. There is generally plenty of parking on Main Street. We are located at where Rt. 28/Main Street meets Rt. 133 in the Shawsheen section of Andover, MA. Join us for an amazing post-Thanksgiving weekend of savings at our new location. Our Black Friday Sale will have hourly drawings for a FREE veil, accessories, cocktail dress and/or wedding dress. Please note that appointments are preferred. Black Friday Sale - November 23, 11am-5pm only! Join us and get an extra 20% off on all in-stock wedding gowns, veils and accessories. 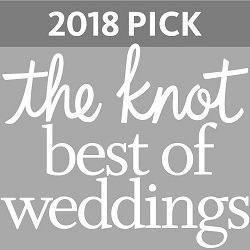 Hourly drawings to win a FREE veil, accessories, cocktail dress or wedding gown. White Saturday Sale - Saturday, Nov. 24 (10am-5pm) and Sunday, Nov. 25 (noon-4pm). Two great days of savings. Get an extra 10% off on any orderable item. We will be holding a drawing each sale day for a free wedding gown. Join us February 1-3 and preview Olvi's Lace -- hand-made wedding dresses crafted from the finest French stretch lace. Each dress is hand-made in Europe. Trunk show hours are the same as our store hours. Olvi's French lace masterpieces are inspired by art and vintage dresses. Olvi’s unique and distinctive handmade lace garments are vintage inspired and romantic. The finest French stretch lace makes each dress as comfortable as they are luxurious. We are having a special trunk show to introduce BECCAR and Atelier BECCAR. You will be treated to some of 2019's most loved styles and silhouettes. Please join us from January 18-27. Trunk show hours are the same as our store hours. View BECCAR and Atelier BECCAR. 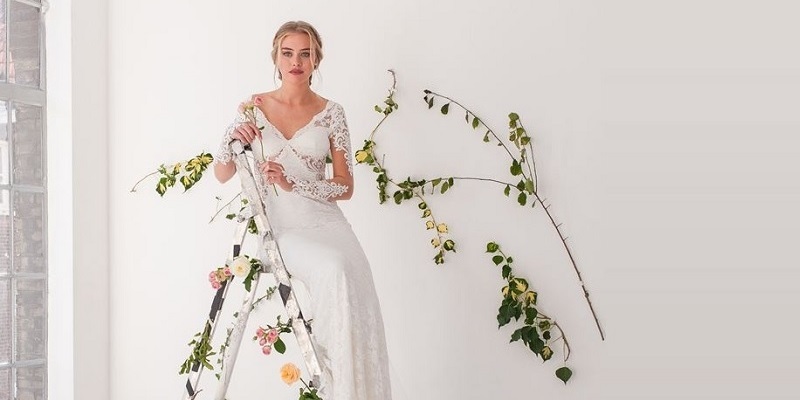 BECCAR bridal collection presents feminine details on timeless silhouettes, beautiful laces, light beading, diverse textures and layers -- creating a glamorous, effortless and chic style in every gown. Atelier BECCAR collection is known for its ultra-feminine style -- combining delicate embroidery, sparkling Swarovski embellishments, dramatic trains, and pluging backs. haute couture and attention to detail. Each Atelier BECCAR gown is made to order ensuring a flawless, flawless, flattering fit. You're Invited! We're having a trunk show Sept 14-16 with Grace Isabelle , featuring new designs with complete personalization. Stop by and view some of the finest couture designs of the season. View our salon hours. We are proud to introduce Tulle Bridal's exclusive designer label, Grace Isabelle. We created the collection with the highest quality fabrics, materials and embellishments. Each gown is a couture masterpiece and offers complete customization. The range of silhouettes and customization options will flatter any body type. Our founder and Grace Isabelle's lead designer, Heidi Janson, has been active in the fashion industry since childhood. While cultivating her own distinctive style of modern couture, she worked for renowned designers as Vera Wang, Simone Carvalli and Victor Harper. We are having a Simone Carvalli trunk Febrary 1-3. Their Haute Couture collection offers sophisticated silhouettes, exquisite Swarovski crystals beading design and luxurious silk fabrication. Show hours are the same as our store hours. Simone Carvalli represents creativity and finest quality with beautiful executed design, which shows true value. Precision is evident in garments crafted in revolutionary needlework and sewing technologies and refined fabrications that envelop and mold the figure. Join us on February 1-10 for our Victor Harper trunk show. Preview the latest extraordinary couture designs from the renowned designer. Trunk show hours are the same as our store hours. Victor Harper is inspired by the musings of feminine sophistication and elegance. The collection weaves together glamour, refinement and drama into silhouettes that mold and flatter the body. Their gowns are offered in an assortment of exclusive fabrics that include Silk Satins, Mikado and Organza. Each style is embellished with beading and embroidery patterns that are hand drawn by the designer and crafted in an array of Austrian crystals, pearls and trims unique to the Victor Harper Collection. You're invited to 2019 Valentine sale from February 11-17! Join us for 20% off on all in-stock wedding gowns, veils and accessories. 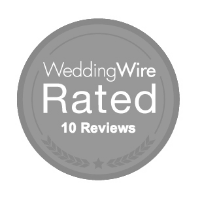 In addition there will be special savings on our Tulle Bridal Outlet discount offerings. Sale hours are the same as our store hours. View our collections. 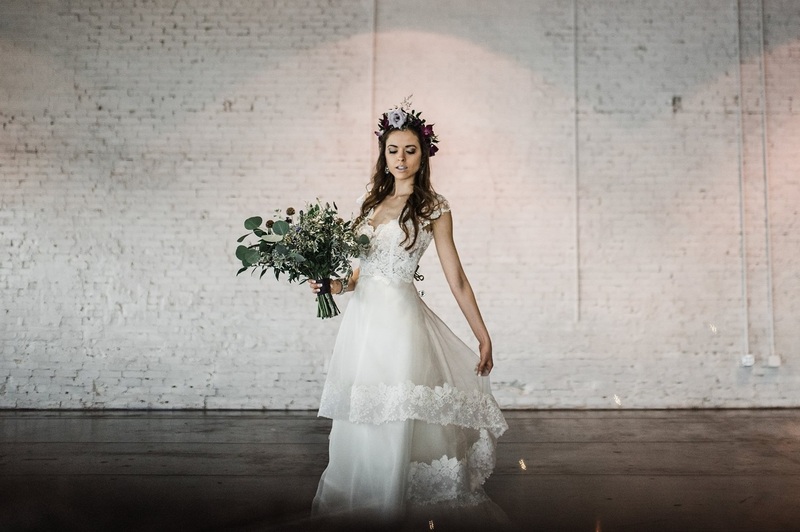 At Tulle Bridal you'll find handpicked bohemian flair, and simple, comfortable, unique designs that come across as relaxed sophistication. You will feel beautiful, glowing and confident. Exclusive designers to personalize every detail. We handpick every gown that will be memorable to fall in love. Tulle Bridal Outlet offers the sweetest selection of beautifully handpicked designer gowns for the woman that wants to be herself. Dreamiest designers, unforgettable prices. Unforgettable experience! Save up to 75% off every day! You're invited to our Ashley & Justin Bride trunk show February 22-24. View styles with intricate laces and embroideries, whimsical appliques, dazzling details and masterful tailoring that define this thoughtful and feminine collection. Combining and contrasting a bohemian romance with the chic opulence of red carpet glamour, The Ashley & Justin bride will relish in the appeal that modern brides of all shapes and sizes can now celebrate their wedding day with this elegant and diverse gown collection that offers a beautiful and romantic vision of their happily ever after! From March 8-10 we will be introducing one of our favorite wedding dress designers, Tara Lauren. Tara Lauren designs are a lovely combination of romantic, bohemian luxe and California ease. Trunk show hours are the same as our store hours. Tara Lauren is a LA-based bridal brand designed by two sisters. The brand embodies a romantic, fresh, elevated bohemian aesthetic -- designed for today’s adventurous modern bride. Co-Founding sisters Tara and Shaina Healy, aim to evoke the beauty of effortless style, while preserving an expressly luxe vision. We are excited about our Allure Romance trunk show from ### DATE ###. Preview soft, elegant and refined Allure Romance gowns for 2019. Allure Romance gowns are simple, yet sophisticated designs that emphasize ballgowns and lace. The 2019 covers the entire range of silhouettes, necklines, waistlines and details. Trunk show hours are the same as our store hours. 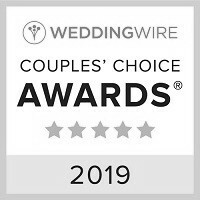 Allure Bridal is an award-winning bridal manufacturer with brands that cater to every style, personal taste and body type. Theirs brands include Allure, Allure Romance, Allure Couture, Allure Woman and Madison James. We are holding a trunk show for Madison James from ### DATES ###. 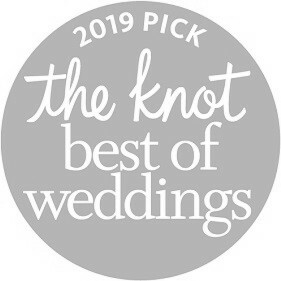 The Madison James Collection features sophisticated designs that emphasize fresh silhouettes, avant-garde fabrics -- as well as innovative lace textures and patterns. Their gowns are both romantic and chic. Trunk show hours are the same as our store hours. You're invited to our Alyssa Kristin trunk show on ### DATE(S) ###. Preview wedding dresses that are designed to showcase you in a way that makes you feel like the most beautiful version you. Customization options are exceptional -- as each dress is designed to be mixed & matched -- top/skirt, add a sleeve, lower the back, or add some train. Trunk show hours are the same as our store hours. Founder and designer, Alyssa Kahle, left her corporate career to design bridal gowns after struggling to find "the dress" for her own wedding. She took matters into her own hands and created her own dress, and the Alyssa Kristin brand was born. You're Invited! We're having a trunk show ### DATE(S) ### for our exclusive designer label, Grace Isabelle , featuring new designs with complete personalization. Stop by and view some of the finest couture designs of the season. View our salon hours. Join us this on the first Friday monthly for our free wedding gown giveaway for military and first responder brides-to-be. Events are held nationwide. View our event registration page for a list of locations. Please review the event qualifications page to make sure you meet all eligibility requirements. Please bring required ID on the day of the event.